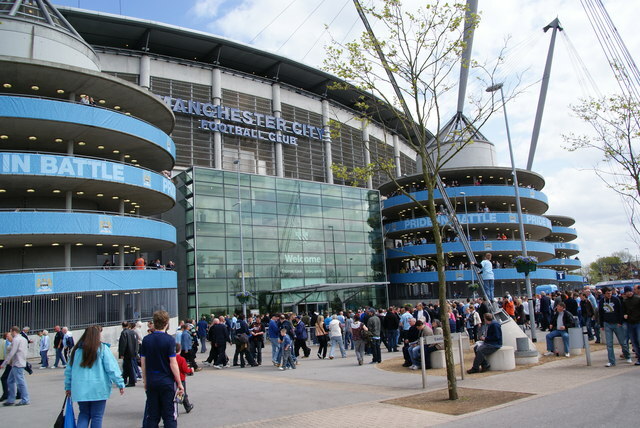 Shortly after the sacking of Roberto Martinez, and before the appointment of Manuel Pellegrini, representatives from Manchester City started talking about ‘holistic management’. They got a decent amount of mockery about this, from fans and the mainstream media. Writing for Bornoffside, in a piece published yesterday, I took a look at what the term means, and why the club think it’s important. I’ve written a piece for BornOffside about Roy Hodgson, who has this week been appointed as the new manager of the England football team. If you’ve not been following the England national team in recent months, you’ve probably been driven less close to the edge of sanity than me. Here’s a brief rundown of events. In February, Fabio Capello, England’s experienced Italian manager, hugely successful in club football but with a mixed record in charge of England, resigned. The national sporting press immediately responded by assuming Harry Redknapp, the manager of Tottenham where he has done a more than decent job, would be the next manager. The FA said nothing, nothing at all, to confirm this, but the newspaper speculation talked as if it were a formality, only mentioning other possibilities in passing. Harry Redknapp is considered popular with the press – being social and helpful when it comes to sharing his thoughts ahead of matches, potential player transfers, and so on, allowing the press to appear insightful. Unlike Redknapp, Roy Hodgson has managed in various different leagues, and managed three national teams, two of them very successfully – Redknapp has managed only in England. The press have been reporting Redknapp as ‘the people’s choice’ as England manager, despite a number of people preferring Hodgson, Alan Pardew, or Guus Hiddink, among other foreign options. On Sunday, the FA announced that Roy Hodgson had been approached to take the role, wth no other candidates being interviewed. The British sporting press reported this, essentially, as ‘Harry Redknapp Not Offered England Job’, and frankly haven’t been very dignified about it. During Hodgson’s formal presentation to the media as manager on Tuesday, around half the questions he was asked were about Harry Redknapp. Here are my thoughts about Hodgson’s appointment. Harry Redknapp is a talented football manager. His Tottenham team are currently third in the table, they are playing an entertaining style, and he’s the first English manager to challenge for the title for about ten, fifteen years. 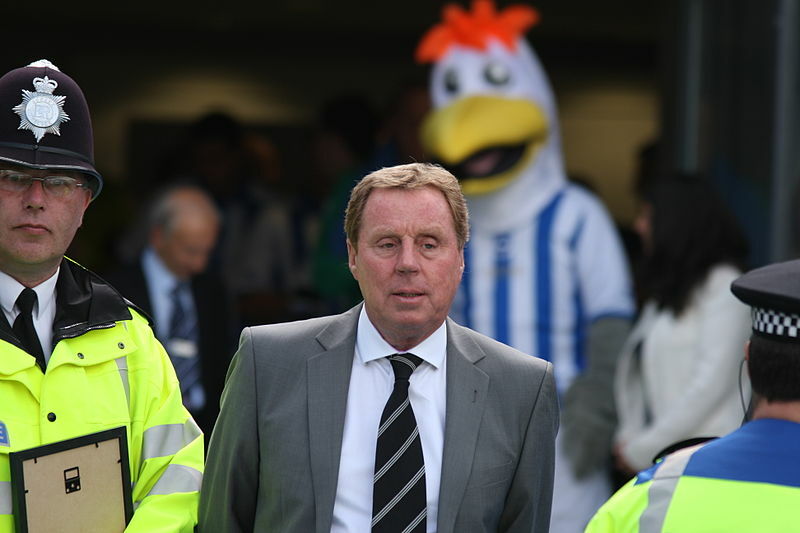 Harry Redknapp, being stalked by a giant seagull with a bad haircut. The England manager’s job is currently vacant, after Fabio Capello’s departure last month, and Redknapp has been talked about by the English media, particularly Fleet Street, as if he is the nailed on certainty, the only possible choice. He’s also referred to as the fans’ choice – for instance, Match of the Day has said that the only people in the country who don’t want him to be England manager are the fans of his current club. While I don’t totally disagree with his good press, I do to a large extent. I’ve written an opinion piece for Born Offside, presenting the counterargument to the pro-Redknapp press. 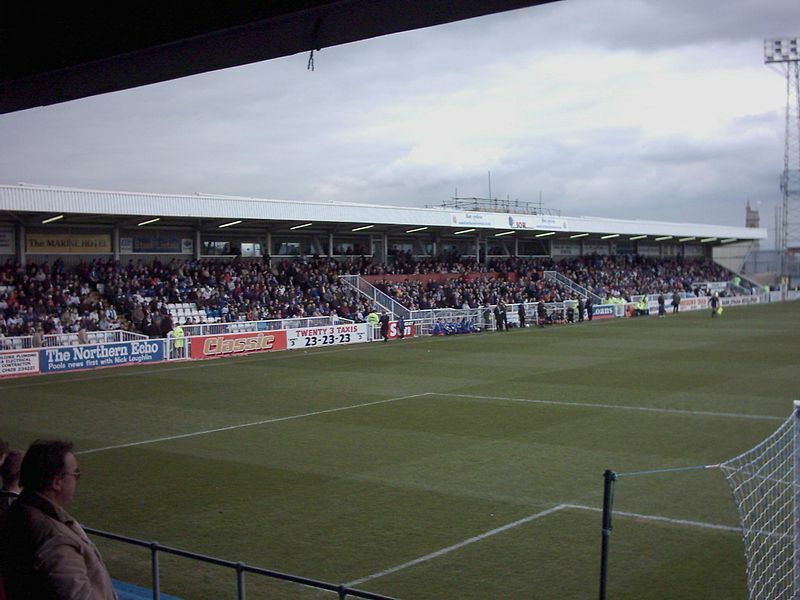 I’m a supporter of Hartlepool United Football Club, who, going by the wisdom of the fans, are ‘by far the greatest team the world has ever seen’. You may think that would be the Dutch ’70 team, or maybe the current Barcelona team, but no, apparently it’s a small team in the third tier of English football. Hartlepool are a small team, all things considered. The season started optimistically, and there’s been some good form away from home, competing well as one of the best teams, results wise. But, the home form has been awful, with several successive home defeats. On 6 December, the decision was made to remove the popular Mick Wadsworth, as manager. Writing at Vital Hartlepool yesterday, I took a look at the causes of the bad form.